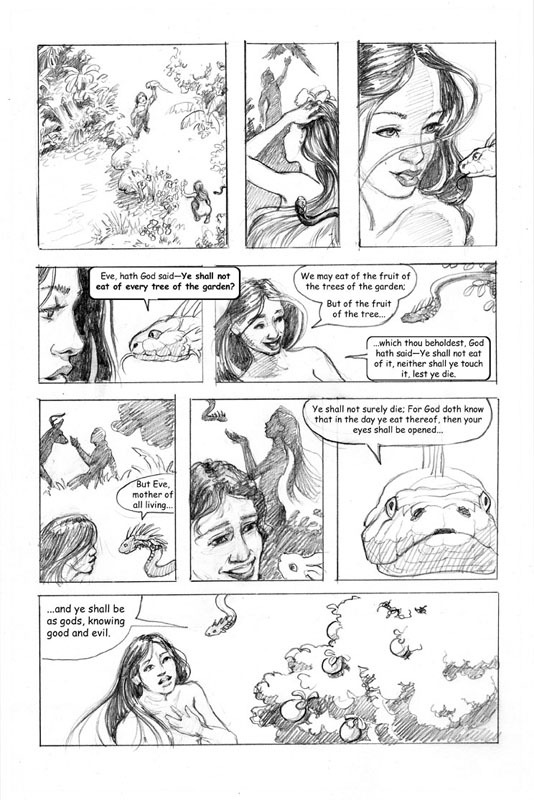 So here is the final one for Adam and Eve. 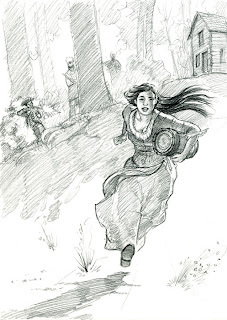 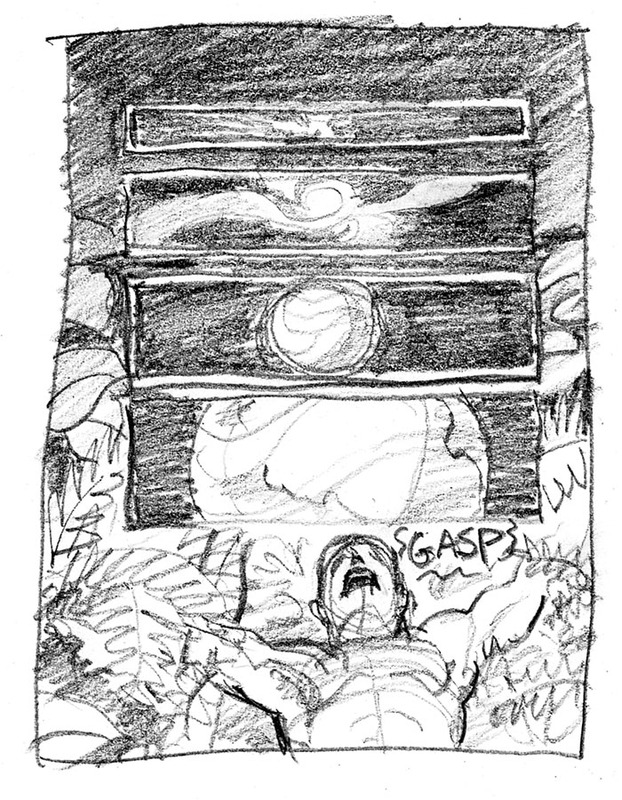 I hope I can do more to develop my take on the story but we'll see what time permits. 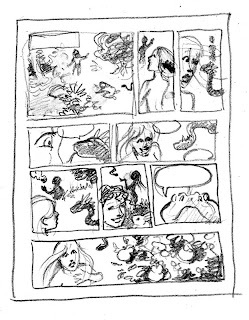 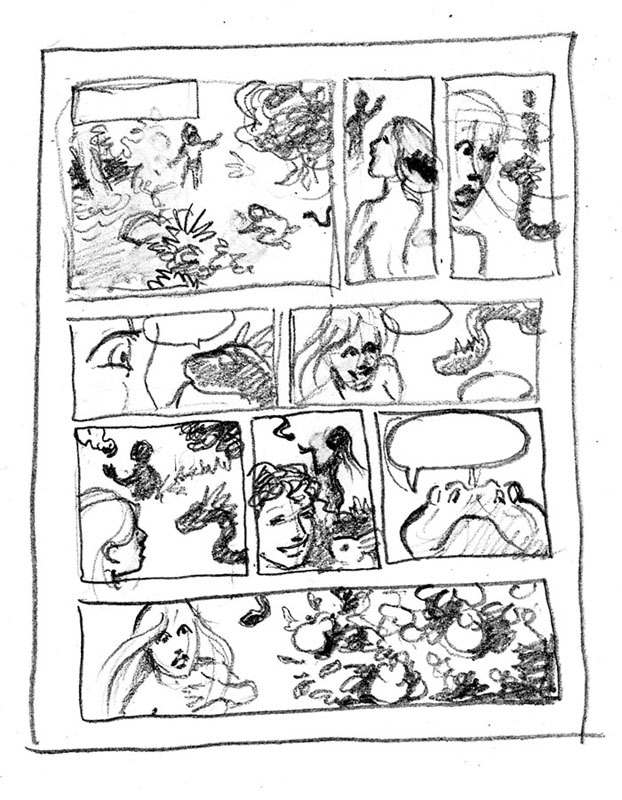 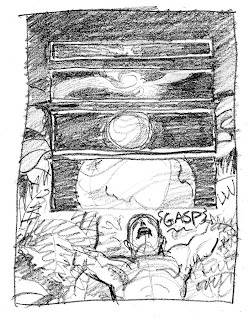 Here is page 2 for the Adam and Eve layouts. 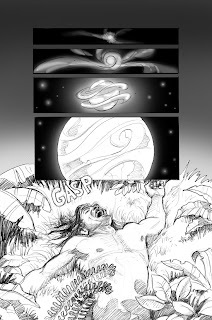 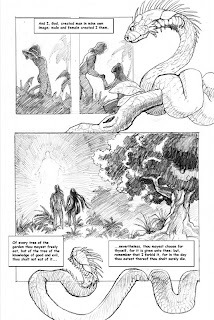 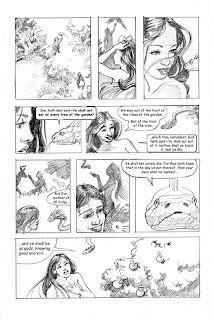 Here are the first 3 pages of a graphic novel version of Adam and Eve that I am developing. 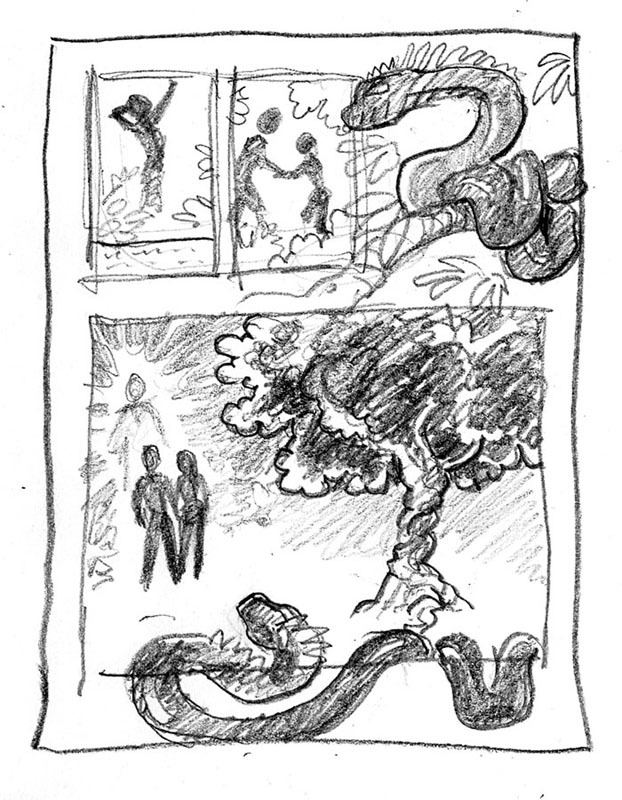 Let's look at the thumbnail planning and the cleaned up pencil work. 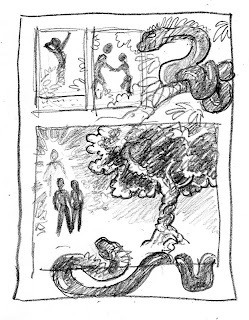 I wanted to get right through creation to the interaction with the serpent. 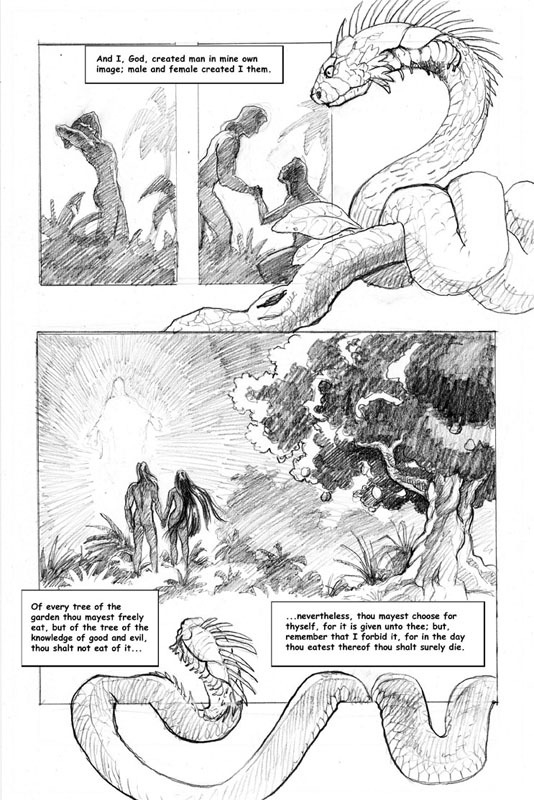 I subscribe to Genesis as a poetic telling of the fall of man (that's not to say these events didn't happen) and so I want to visually tell it in the way I feel it was intended when Moses recorded this revelation.